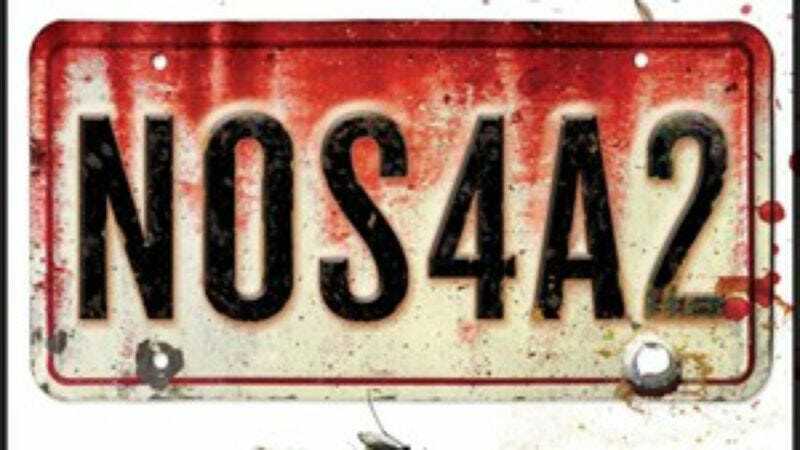 Having apparently realized that this whole “horror television” thing is pretty damn good business, AMC has announced that it’s starting development on NOS4A2, an adaptation of Joe Hill’s novel about supernatural powers and the terrible prices they exact. The book—a delightfully nasty story about a troubled young woman leveraging her psychic gifts to put down a super-powered predator after he kidnaps her son—is Hill’s third novel, published in 2013. Hill has been getting more and more involved with the TV and movie side of the entertainment industry in recent years; the film version of his novel Horns served as one of Daniel Radcliffe’s escape attempts from the living hell of being Harry Potter for the rest of his life, and his comic series Locke & Key is constantly threatening to finally get made. He also worked on a pilot earlier this year for a Tales From The Darkside remake on The CW, although he’s yet to have the truly terrible movie or TV adaptation that will finally allow him to fully bond with his father, novelist Stephen King, the mind behind such masterpieces as Maximum Overdrive and Dreamcatcher.